ALBUQUERQUE, NEW MEXICO—I don’t know about you, but it seems to me there’s a lot of talk about what makes great Christian leaders. Books, seminars, and conferences abound. These are good discussions, I suppose. But rather than debate the qualities that make Christian leaders, I thought I’d give some attention to Christians that actually led/lead in their given field, making a broad impact beyond the walls of a church. These men and women have professed faith in Christ and made (or are making) a large contribution to the wider culture. Because many people could be chosen throughout history (Augustine, Aquinas, CS Lewis, etc. ), I’ve elected to highlight ten from the past fifty years (meaning, he or she had to have died no earlier than 1968). I’ve listed the name and a brief description of who they are and what they are known for. At the end of each section, I list a trait or two that represent their life and ministry and added a couple of other names for consideration within their given field. My general criteria in choosing these were the following: one, the individual had/has to profess Christ; two, he or she has or had a vast impact upon the broader culture, beyond the Christian community; and three, he or she are known for something distinct in their field, excelling to the highest level. The bottom line: these Christian leaders are good at what they did/do. Here’s the list of Christian leaders in no particular order. Martin Luther King, Jr. (d. 1968). Pastor and civil rights leader. 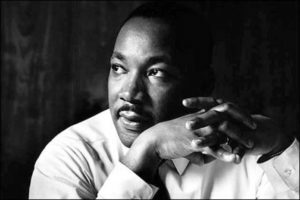 There’s a holiday named after King. His importance is of national and international significance. Known for eloquence, resolve, and determination. Another notable Christian leader that has an impact on a social issue is Bill McKibben (b. 1960), known for his work with environmental concerns. Fred Rogers (d. 2003). 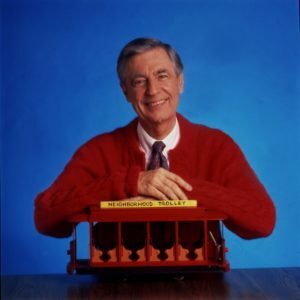 As an Emmy award-winning TV personality and ordained Presbyterian minister, Rogers, at his height, had millions of viewers each week on Mister Rogers Neighborhood. Some see Rogers as saving Public Television (PBS). Known for kindness, compassion, and a love of children. Other notable PBS Christian leaders that have had an impact on PBS: Rick Steves (b. 1955) and Bob Ross (b. 1942). 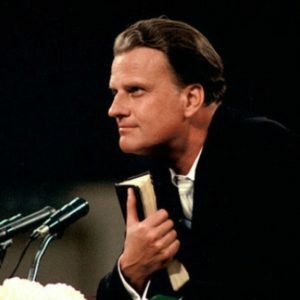 Billy Graham (d. 2018). Evangelist and the “President’s pastor.” Known for evangelism and support of world leaders through counsel and spiritual guidance. Other notable large-scale, world Christian leaders have included Pope John Paul (d. 2005) and Desmond Tutu (b. 1941). Bono (b. 1960). Grammy Award winning lead singer of the rock group U2. Founder of One, a charitable organization. Sold millions of records. Known for his creativity and work for the less fortunate. Other notable Christian musicians include Johnny Cash (d. 2003) and Bob Dylan (b. 1941), winner of the Nobel Prize in Literature. 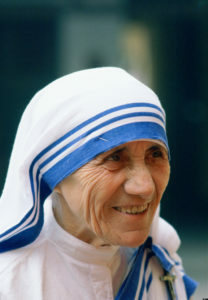 Mother Teresa (d. 1997). Like Albert Schweitzer (d. 1965) before her, Mother Teresa exemplified a life dedicated to Christ by serving the least, lost, and forgotten through her Missionaries of Charity. She became synonyms with serving others and love. 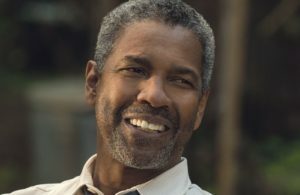 Denzel Washington (b. 1954). Academy Award winning actor, producer, and activist. As both a Christian and actor, Washington has consistently been an unswerving trail-blazer with his art. Other notable actors that profess faith in Christ and have had a huge impact on Hollywood include James Stewart (d. 1997) and Tom Hanks (b. 1956), both Academy Award winners. Francis Collins (b. 1950). Scientist. Leader of the Human Genome Project under President Bill Clinton, the largest scientific research group studying DNA and the sequence of the nucleotide. Most US scientific groups that deal with biology depend upon his work. Collins is now the Director of the National Institutes of Health. Known for his dedication, intelligence, and faith. Other notable Christians that led in the scientific field include Ben Carson, neurosurgeon (b. 1951) and E. Everett Koop (d. 2013), former Surgeon General. Timothy Keller (b. 1950). Though I’ve steered away from pastors, per-se, Keller made the list for several reasons. One, he’s a respected New York Times bestselling author. Two, he’s recently been named one to the World’s Greatest Leaders by Fortune Magazine, and three, his influence has made it all the way to world powers. He’s spoken at Google, the British Parliament, and various US government entities. Known for his clear thinking, love of justice, and Biblical Christianity. Other notable pastors that made a huge impact in various areas include John Stott (d. 2011), Eugene Peterson (b. 1932), NT Wright (b. 1948), and Rick Warren (b. 1954). Tony Dungy (b. 1955). Super Bowl-winning coach (Colts), player (Steelers), and bestselling author, Tony Dungy is also a regular on TV. As author and commentator, he’s well-respected across the spectrum of athletic sports, and is the first African American coach to win the Super Bowl. His professionalism, determination, and strategic plays have earned him worldwide praise. Other notable Christian leaders in athletics include Reggie White (d. 2004), Deion Sanders (b. 1967), Step Curry (b. 1988) and Kevin Durant (b. 1988). J.R.R. 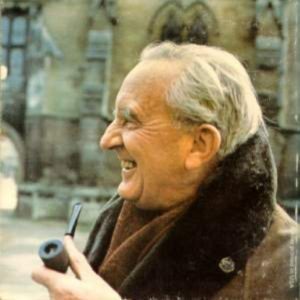 Tolkien (d. 1973). Considered the most popular author of the past 50 years, Tolkien’s books have sold millions, influencing countless of writers, directors, and artists of all stripes and styles. His Hobbit and Lord of the Rings series are classics if there were ever any, some of the favorite books in US and the world. And as the one who led another notable writer, CS Lewis, to faith, Tolkien’s influence is profound. Another notable Christian author is Pulitzer-Prize winning novelist, Marilynne Robinson. As a favorite author of many world leaders, including Barack Obama and Rowan Williams. Robinson is a deep Christian thinker and essayist. So goes my list. After talking with other people, I received a slew of great answers: Pope Francis, Frederick Buechner, Wendell Berry, Madeline L’engle, Jerry Jenkins, Mel Gibson, Carrie Underwood, Alice Cooper, Tim Tebow, Chris Pratt, Tom Brady, Ronald Reagan, Justin Bieber, Tracy Perry, Stephen Colbert, Scott Derrickson, Mark Burnett and others. But with each of these fine recommendations, I still feel the list provided offers the best examples of Christian leaders that have made a lasting impact on the culture and for Christ. Would you agree with my list? If not, deliberate some options and discuss with friends and family. But remember: you’re looking at the last 50 years, not all of history. Have fun! But more than just elaborate, yearn to emulate: make an impact for Christ in your community. For a complete discussion on the topic, Star 88 FM had a round table conversation on the topic. Click here to listen: http://www.star88.fm/tmi/ (Thursday, September 20th).